The family of Les Jardins fragrances are no stranger to fans of the French luxury house’s extensive range of fragrances. Typically linked to the ‘soul’ of a particular place the respective scents are named after, take for example Un Jardin en Mediterranée which channels the spirit of a Mediterranean garden in Tunisia. Then there’s Un Jardin sur le Nil which evokes the evening strolls through the island-gardens on the Nile at Aswan. You could even say Hermés takes its olfactory journeys like no other, each one more magical than the last. Today, an all-new scent joins the family, the Un Jardin sur la Lagune, a fragrance that’s the perfect embodiment of sweet, soothing scents, juxtaposed with the woods, trees and flowers for a dreamy garden escapade created by Hermès’ perfumer, Christine Nagel. Having chanced upon Frederic Eden’s garden, known as Eden Garden in Giudecca, Venice, it was one that she had to ask for special permission to visit, and after it was granted this scent was born. Expect to find a heady blend of Madonna lilies, magnolia and pittosporums, together with deep woody notes that hit you all at once on your first whiff. 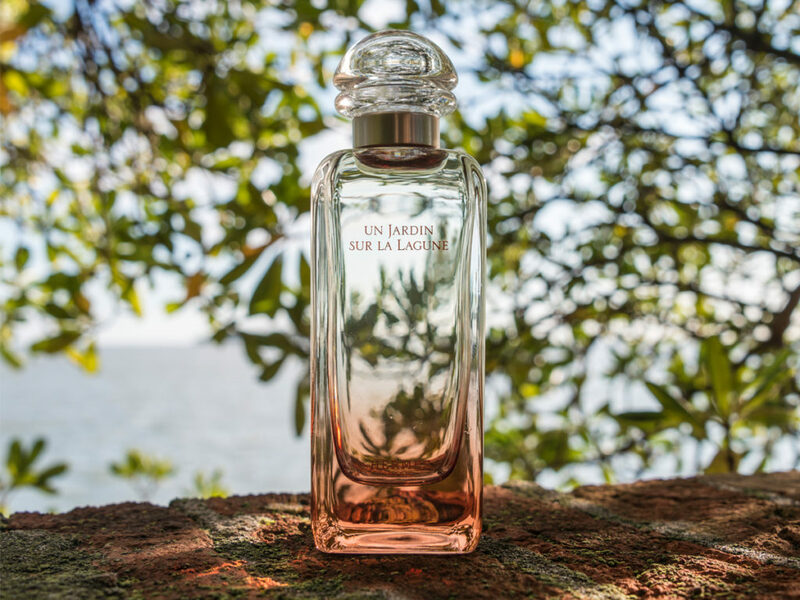 You might be taken aback at first, confused even, at the unique combination, but with Un Jardin sur la Lagune, the beauty of the scent comes after. Let it sit on your wrist (or your neck) and over time, the salicornia notes take over, channelling the feeling of walking on the beach, surrounded by the delicate sea breeze. The scent eventually deepens to become more sensual, with a deep, woody aroma that’s lightly scented with delicate floral notes for a beautiful balance all around. 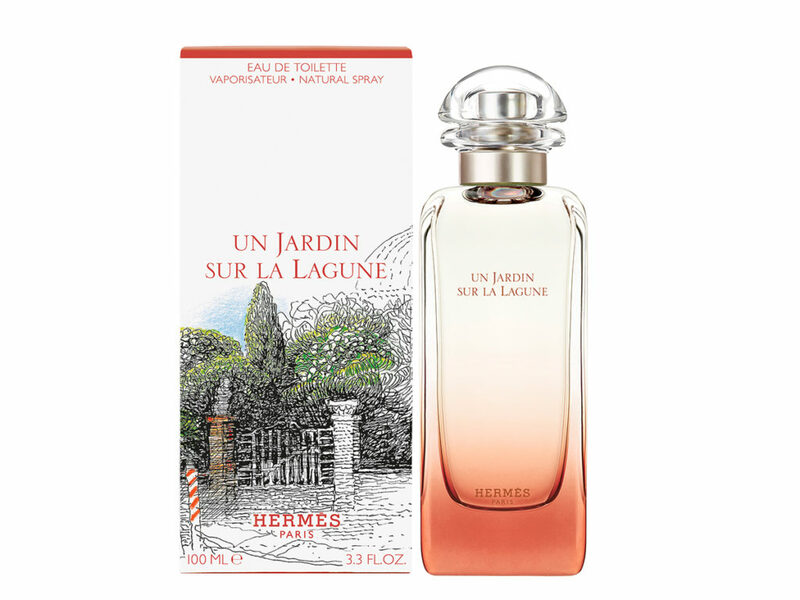 The Un Jardin sur la Lagune comes in 3 EDT formats, 30 ml (SGD96), 50 ml (SGD139) and 100 ml (SGD199). Now available across all Hermès boutiques in Singapore, you should head down and embark on this new olfactory journey imagined by Ms Nagel that’s sensual and warm yet unexpected all at once.